We may not want to admit it, but we all hit bad shots. Everyone ends up in the thick stuff or the sand, and we’re all upset with ourselves when we do. But here’s the thing, when you find yourself in trouble spots, you can either tense up and let the mistake affect your next shot or you can employ the staples of a solid golf mental game: regroup, assess the situation, visualize your ideal shot, and execute. Sounds simple, right? So why do most amateurs struggle to get back on track after a wayward shot? In this lesson, we’ll teach you how to banish your demons and hone your golf mental game by utilizing a four-step, pre-stroke process to create the perfect shot in your mind. The keys to hitting pinpoint recovery shots are composure, research and commitment. Once you’ve found your ball, your first action should be to wipe your memory of the previous shot and take a breath. 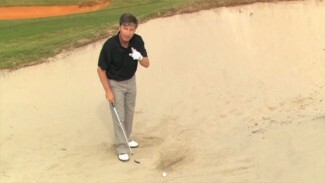 Once you’ve honed in on the next stroke, PGA Professional Joseph Hallett teaches you how to escape trouble shots by practicing an expert golf mental game exercise. 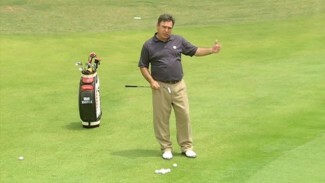 Joseph demonstrates this simple golf mental game technique by breaking it down into four individual steps. First, you’ll determine which type of shot will work best to get your ball back in play, pointing out exactly where you want the ball to end up and visualizing the path that will get it there. Then, you’ll close your eyes and attempt a slow-motion swing with the close you plan to use. Once you’ve envisioned the ideal shot and shown your muscles how they need to move to pull it off, you’ll picture the course of the shot backwards, then let it fly. If you’re having a tough time getting back on track when you find yourself in trouble, give Joseph’s 4-step process a try. 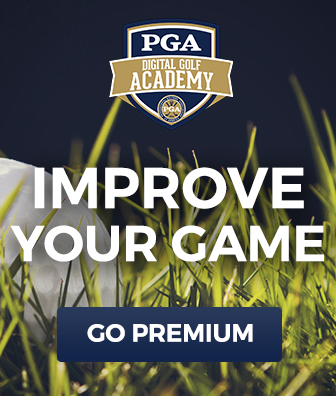 We guarantee it will improve your golf mental game and help you take valuable strokes off your score. 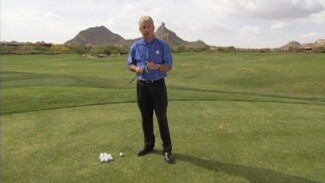 With these and other expert tips from our practice drills videos, you’ll have more confidence with any club in your hands!